One of the earliest door chimes in the Museum, these examples play a single note on a tone bar. 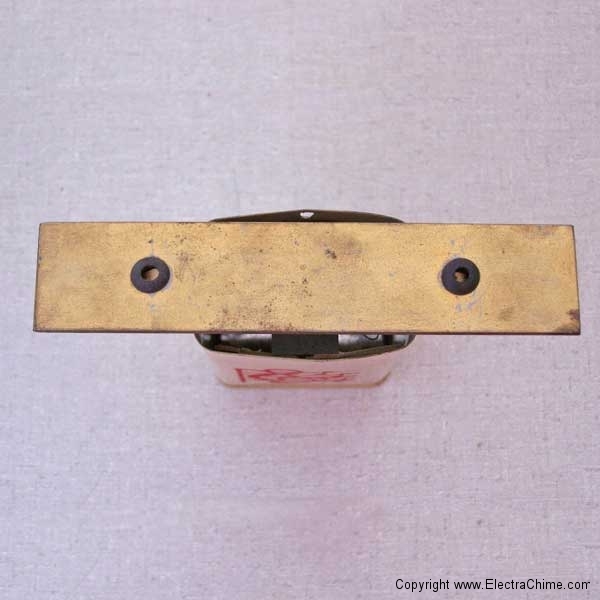 The simple mechanisms employ a single solenoid to hurl a wooden striker attached to the armature upwards to strike the underside of a single tone bar. Gravity returns the armature to the at rest position. 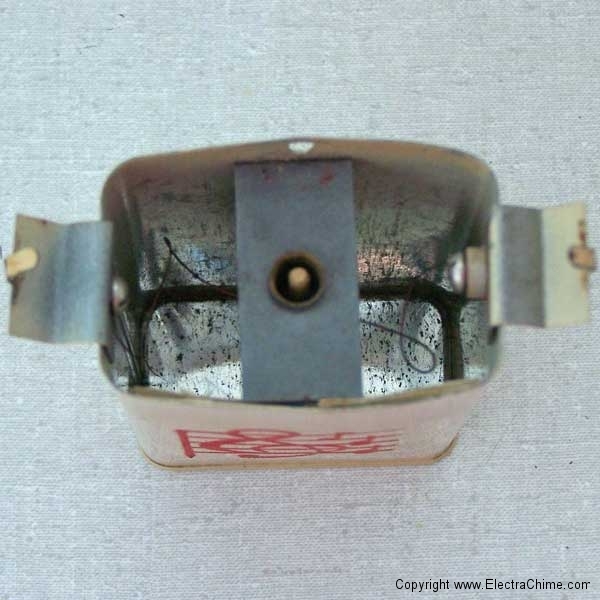 Construction is very simple with a seamed open top can, similar to period tobacco or band-aide tins with the lid removed. 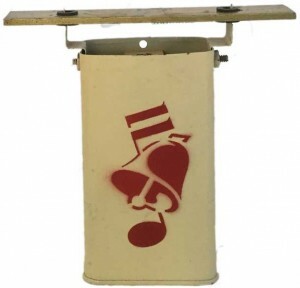 The tin can served as a housing and resonator. 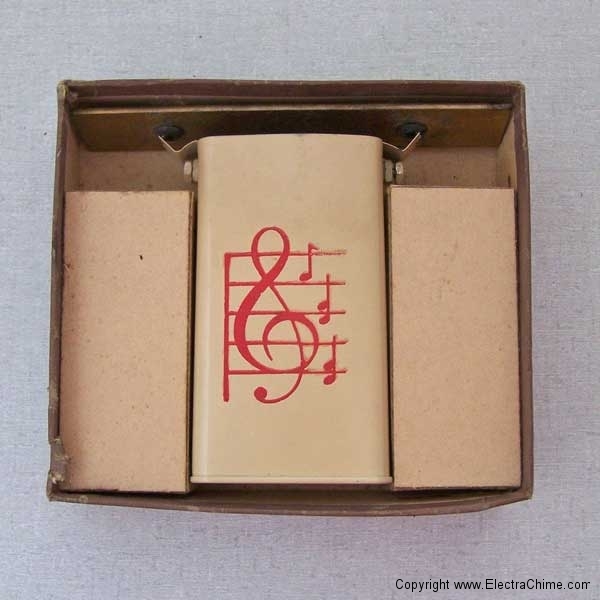 Electrical connections were made by means of external terminals just below the tone bars. 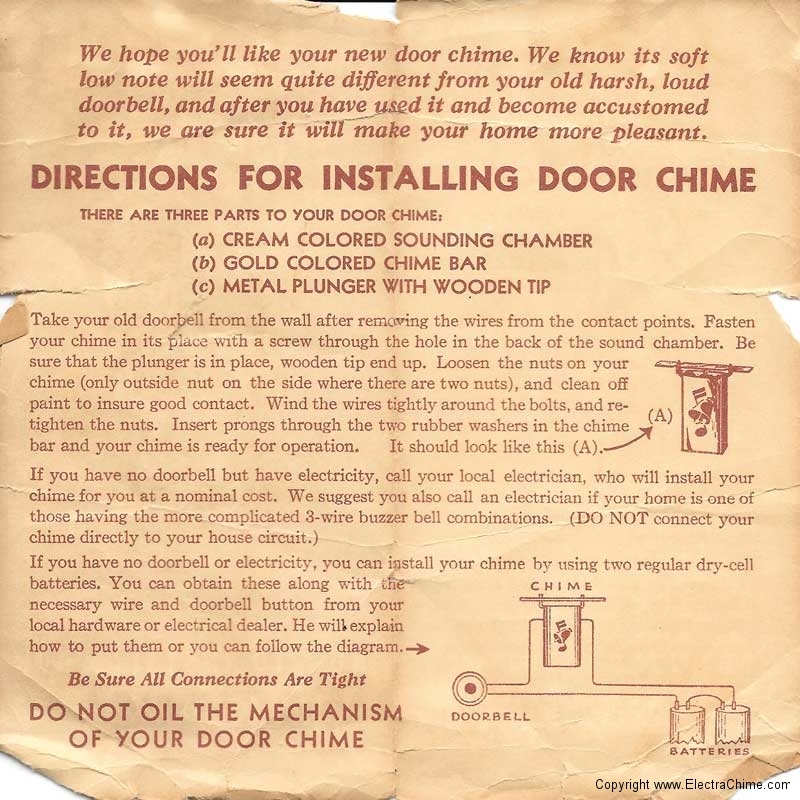 We hope you’ll like your new door chime. We know its soft low note will seem quite different from your old harsh, loud doorbell, and after you have used it and become accustomned to it, we are sure it will make your home more pleasant. —Melody Maker installation instructions. 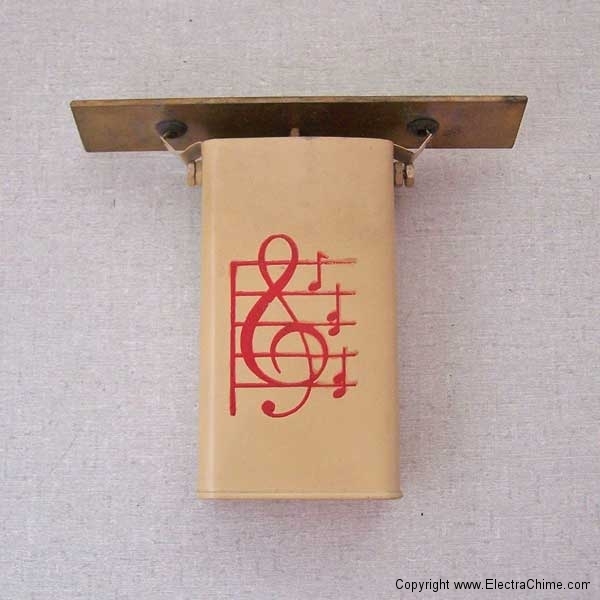 There are no manufacturers markings to identify the example with the musical note motif, the example with the silk-screened bells was manufactured by Melody Maker. Both are presumed to be from the same manufacturer. 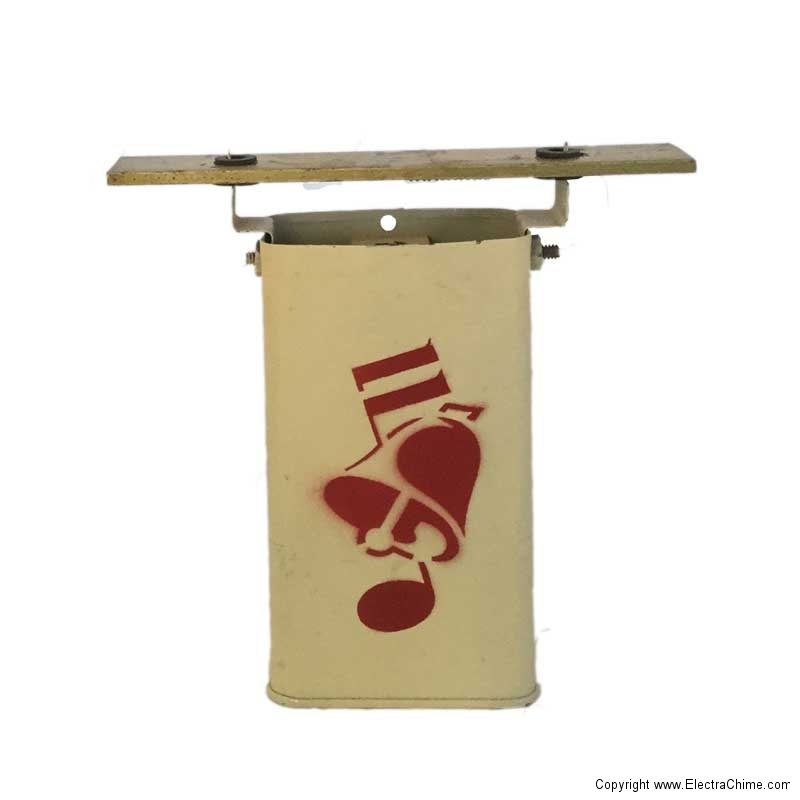 Materials Painted steel cover, Silkscreen musical note motif, Iron tone bar.